China Biodiversity Conservation and Green Development Foundation (CBCGDF) has learned that the World Health Organization (WHO) plans for the first time to incorporate traditional medicine into its far-reaching compendium of medicine, the International Classification of Disease (ICD). 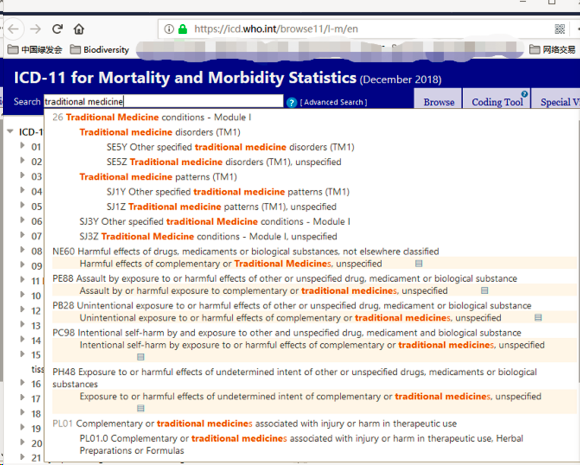 This WHO document, ICD-11, includes all international medical diagnostic codes and, for the first time, traditional medicine. It is expected to be submitted to the Executive Board in January 2019 and then sought final approval by Member States at the 72nd World Health Assembly, to be held in Geneva from 20 to 28 May 2019. If adopted, it will enter into force on 1 January 2022. (1) We recognize, respect and support the tremendous contribution brought by traditional medicines on advancing human health. (2) Sustainable traditional medicine: the inclusion of traditional medicine into ICD-11 should be based on Sustainable Development. While promoting and developing traditional medicine, we must take into account science and various other factors. 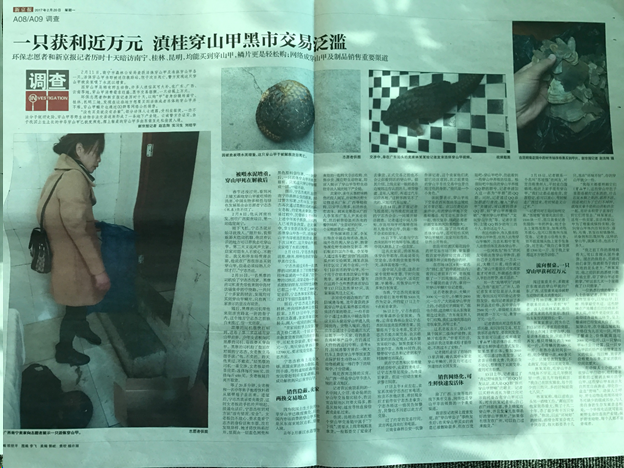 Take the endangered species Pangolins as an example: Chinese pangolins were used in Traditional Chinese Medicine (TCM), but it is undoubted that today's commercial extinction of Chinese pangolin is mainly caused by excessive use. The result, the unsustainable way of utilization means it cannot be used for a long time; therefore, we would like to raise the first question here - the use of wildlife in traditional medicine must be measured in Sustainability and well-managed. Another problem is fake or counterfeit traditional medicines. All doctors must agree to the Hippocratic oath in order to practice medicine, the first principal of which is to “do no harm”. Thus any medicine prescribed should follow this principal, and the International Classification of Diseases in suggesting appropriate treatments must also adhere to the principal of not perpetuating harm. However, the inclusion of Chinese Traditional medicine into ICD-11 risks violating that principal on both its human subjects, and on many threatened species currently utilized within TCM. One commonly used element of TCM is the Pangolin, which due to its popularity is the most trafficked animal in the world. Of the eight pangolins species all of which are on the brink of extinction, with populations globally crashing and an average of one Pangolin killed every 5 minutes. Attempts have been made to breed Pangolins, but these have produced almost no surviving young and in addition to being commercially unviable, no legal source could ever satisfy demand. This kind of utilization violates not only the principle of "intergenerational equity", but also go against basic principles of United Nation's Sustainable Development Goals. The pangolins used in Traditional Chinese Medicine were the Chinese pangolins (Manis pentadactyla); but now many of the pangolins used for TCM are different species, and frequently even different genera-and thus have never been listed in any pharmacopeia. Thus even if Pangolin could be effective as a medicine (unlikely given that scales are like our hair and nails in their composition) using species not listed in pharmacopeias has no basis, even for those who support TCM. Pre-ban scales also do not exist in a sufficient number to sustain a legal trade, and thus pangolins, and other endangered species should not be sanctioned within acceptable traditional medicine. The development of traditional medicine must have regulations to ensure it does not negatively impact on the future survival of endangered species. Thus the contents of TCM should be selected and used sustainable way, in accordance with the law and regulations. We should insist on the concept of "sustainable traditional medicine" and should actively test the effectiveness or potential harm of any medicine prescribed and such details must be factored in in the updated version of International Classification of Diseases. "Scientific traditional medicine" means errors of traditional medicine should be eliminated, and judged by today's scientific knowledge. For example, early TCM prescribers believed that eating heavy metals increased longevity; but modern scientific knowledge tells us that would in most cases be fatal. Therefore, when include traditional medicines into ICD-11, another premises is to ensure they are scientifically not harmful for humans or the environment. Learning the World Health Organization (WHO) is going to incorporate traditional medicine into its far-reaching compendium of medicine, the International Classification of Diseases, the CBCGDF want to suggest the WHO that like all medicinal treatment it should be on the principal of “do no harm” to those using, or making it and to the species it depends on; meaning in most cases no vertebrate should be used within TCM. Only in this way can traditional medicine be developed correctly and continuously, and not have a negative effect on people or the planet.